Are There Ghosts In Indian Mound? 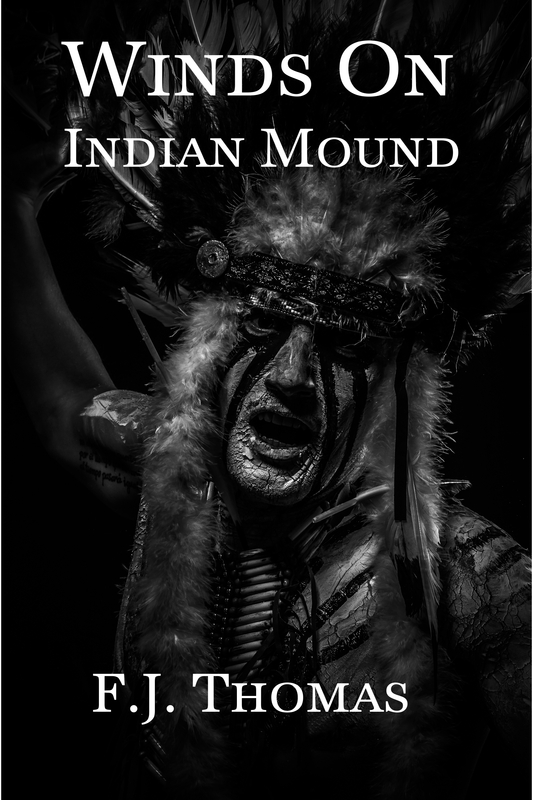 This week, my publisher released my short story, Winds On Indian Mound, as a single on Amazon. What really happened in Indian Mound, Tennessee? No one knows for certain, but a paranormal experience I had there years ago most definitely inspired my latest short story, Winds On Indian Mound. It happened long ago while I was out riding my mare late one night. Of course, that was back when I was young and fearless. However, on that particular night, my bravery quickly evaporated; I was so scared to death, I still remember every detail twenty-five years later. Just like the story, I had the offer of free board for my two horses in Indian Mound, Tennessee. The pasture my horses stayed in was relatively small, but it sat on about two hundred acres of rough and sometimes steep, rolling sage-filled fields. The property backed up to over seven hundred acres of woods. There were logging roads and any manner of dirt trails that ran through the woods. Always being a cowgirl that wants to see what’s just around the bend, I looked for a way on to the seven hundred acres. Sure enough, just like in the story, at the top of the hill a large oak tree had fallen and taken the fence down with it. There was a gap just big enough for my horse to walk through. The curious thing about the gap in the fence was that every time I crossed it, the wind was blowing and the temperature would drop. Even on the hottest of days, I would get a chill as I rode my mare across that fence line. I rode those wooded trails as much as I could, each trip getting later as I went a little further in and discovered new places to ride. The last few rides, I managed to make it back to the barn shortly after dusk. However, the last ride I took there ended when the full moon was high up in the sky. Looking back, I estimate it was probably around ten or maybe eleven o’clock at night. I was used to riding that late. That particular afternoon, I crossed over the fence line, and although there wasn’t a cloud in the sky, the wind was blowing the worst it ever had. I remember goosebumps appearing on my arms even though it was late summer and plenty hot. The little chestnut grade mare that I had, Coco, was solid as they come. She was supposed to have been a Quarter Horse and Fox Trotter cross. I rode her everywhere and she never spooked at anything – probably the only reason I was so brave! As I rode that evening, I didn’t pay much attention to the time, or the fact that it was getting dark. Then all of a sudden, my mare stopped dead in her tracks and would not move. Her head was raised and she was focused on something deep in the woods. Keep in mind, I had owned that horse about five years at that point and she had never done such a thing so I knew she saw something. Over in the middle of some brush about twenty feet away, I saw a flash reflection of light. The only way I can explain it, is that it looked like moonlight reflecting off something metal. I wear glasses now, but at the time I didn’t because quite frankly I didn’t have the money. When you’re young, you have different priorities I guess. At any rate, with it being dark and my eyesight not what it should be, I could see basic objects but I couldn’t see a lot of details. Right after the flash of light, a medium size bird flew up out of the brush where the light had been. My mare suddenly decided then that she could move on down the trail. I’ve always had what I call a “knowing”. It’s when you just know things for a fact that you shouldn’t know but you do. That night, I had a “knowing” that something was there in those woods. I felt it as surely as I had felt the wind earlier. A few yards down the trail, I sensed someone or something was following us. So, I turned around and looked back. Sure enough, I saw something light colored about the same height as I was on my horse. I couldn’t see any details, as mentioned earlier, but I could see that it was a definite object that wasn’t staying still! I told myself I was just being silly, and bumped my mare up to a trot. When I got around the bend in the trail, I looked back and the object was the same distance behind us. I decided to test what I was seeing, and began to canter my mare thinking surely it would disappear. Yet, every time I looked back, I saw that same object several yards behind us, just far enough back I couldn’t see exactly what it was. By that point, I panicked and asked my mare for a full out gallop! We galloped all the way to the break in the fence. When we got there, the wind was blowing even more violently than it had before but the temperature didn’t change. Once through the fence, we headed to the barn as fast as we could. The trail back was hard packed dirt with loose rock on top. It went downhill and to the left. We flew down the hill and took the left hand turn. About half way to the barn, I stopped, thinking surely I was safe. I cocked my head to listen and heard the faint sound of gravel rolling down that hill. Needless to say, I high-tailed it to the barn! I’ve always been drawn to otherworldly things. Probably because of my “knowing” as I call it, along with a sensitivity that I can’t quite explain, I have a good balance of curiosity and skepticism. I’ve spent a lifetime studying the supernatural, and have even analyzed several unexplained occurrences that have happened after that. Things like shadows and voices, usually at night, but not always. Was it a ghost? Who knows, but whatever it was, that supernatural encounter had a huge impact on my life and found its way into a mix of fiction and American Indian culture in Winds On Indian Mound. This entry was posted in Books, Uncategorized, Writing and tagged Authors, Book, book release, creek indian, ghost, ghost stories, ghosts, horses, Indian, Indian Mound, inspiration, native american, paranormal, riding, short story, Stewart County, supernatural, Tennessee, trail riding, writers.